My younger brother has given the exam of Amity University Uttar Pradesh. The result is not published yet. So will you please tell me from where I can get the result? 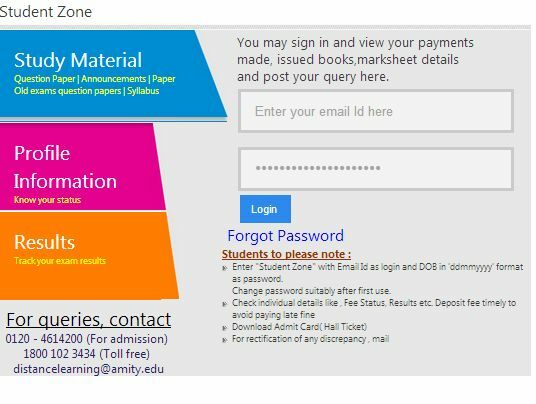 Amity Directorate of Distance and Online Education (ADDOE) is giving world-class Distance Education to thousands of students and working professionals across India, since 13 years. Amity ranked the No.1 institute for Distance Learning by the prestigious B-school Ranking Survey. Sec-125, Noida, Uttar Pradesh, Pin - 201303.